The purpose of the OIG is to assist in the elimination and identification of harmful practices such as waste, abuse, and fraud within the Health and Human Services sector. As such, federal sanctions are created to control these individuals and penalize organizations that employ sanctioned parties. 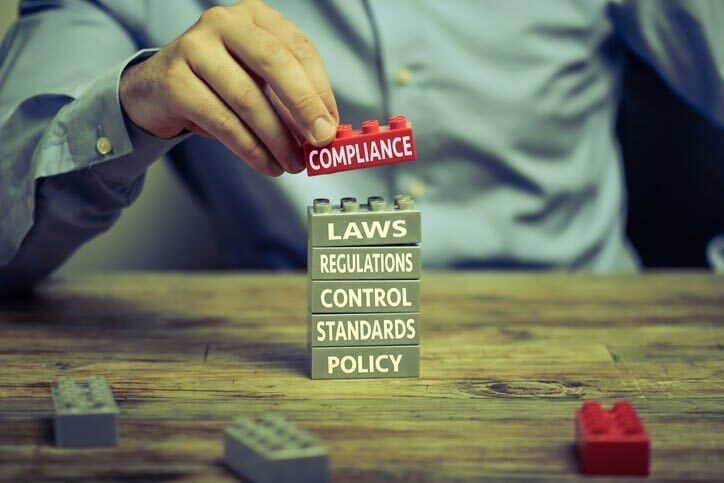 With so many rules and updates, however, it has become difficult to navigate the sanctions, prohibitions, requirements, and definitions set out by the OIG. So even organizations wishing to comply often have a hard time understanding what is expected of them and how to go about abiding by these laws. Below you’ll find more information about OIG sanction checks, including terms, requirements, and policies that will help providers and individuals be more compliant. What is a Sanction Check? A sanction check is a screening process in which an organization scans a list of individuals and/or providers to see if the potential or current employee/provider is sanctioned by the government. Sanctioned individuals are subject to many restrictions, and parties contracting or employing such individuals are penalized heavily (discussed below). While different organizations provide lists of sanctioned individuals, it is recommended to refer to the OIG sanction list (known as the LEIE). It is more comprehensive than other options, ensuring your organization is covered from every eventuality. Organizations may not hold a contract with or employ an excluded individual to provide services or items of which are covered under any federal healthcare program. These regulations apply to a sanctioned individual even if they change professions within the healthcare sector while being sanctioned. The sanctions are applicable to all forms of federal payments including cost reports, itemized bills, fees, capitalized payments, or any type of payment system. Payments may also not be made to a third-party organization or individual acting on behalf of the excluded party. An organization may not include services provided by an excluded party into a bundled bill with other individuals who are legally entitled to payment. This can apply to services or items provided by a sanctioned party that are bundled together with payments that were properly applied for such as within a hospital where non-sanctioned individuals are employed. Sanctioned individuals may not provide transportation services that are supplied by the federal government or agencies. Both the excluded individual and the employing party are liable when an item is ordered or prescribed by an excluded party if the party is aware (or ought to be aware) that the claim will be made to a federal healthcare program. All services, supplies, prescriptions, and duties supplied, ordered, or prescribed by a sanctioned individual will not be payable regardless of who submits the claim or provides the items/services if there was prior knowledge of the sanction (or should have been prior knowledge). These sanctions apply even to services that are not related directly to patient care. For example, administrative or managerial services, treatment plan reviews, or preparation of surgical instruments. Sanction prohibitions apply to individuals even if they are not being paid for their services such as a sanctioned doctor who volunteers at an elderly care facility. Furthermore, many providers have been withheld payment and fined for providing items or services such as equipment, test results, prescriptions, and laboratory findings to federally-approved organizations that were unknowingly employing sanctioned individuals. Such providers will be held accountable and should therefore verify that all organizations they contract with have thoroughly run sanction checks for all of their employees and third party contractors so as not to be held liable for such sanctioned employees. Organizations should understand the severity of violating a sanction ruling. Without proper understanding of OIG sanction checks, organizations may be liable for CMPs (civil money penalties) without even realizing their error. CMPs can run upwards of $10,000 for every single item or service provided or ordered by a sanctioned individual, sometimes as much as triple that amount per item. Even more damaging, organizations run the risk of being denied reinstatement into federal healthcare programs in the future subject to the OIG’s discretion. Additionally, overstepping these laws can result in legal action such as criminal prosecution. Knowingly omitting actions or behaviors that run contrary to the OIG regulations will also give an individual criminal liability. Finally, the ownership of a federal healthcare program provider by a sanctioned individual, while not illegal, is complicated. The OIG may sanction a provider that is owned even in part by a sanctioned party. The sanctioned individual himself may incur fines as well due to ownership in a participating member of a Medicare or state healthcare program. Any services or supplies rendered by a sanctioned individual that are not paid for by a Federal program are not subject to CMP. Non-federal beneficiaries may also receive treatment or goods from sanctioned individuals. In order to keep your organization away from such damaging legal ramifications, potential liability should be addressed immediately. Utilize the OIG’s SDP to clarify and absolve liability quickly. Organizations should run world check sanctions screenings and cross-reference potential and current employees with the OIG sanction check list (LEIE), and should run screenings frequently to avoid missing this important notification and liability.